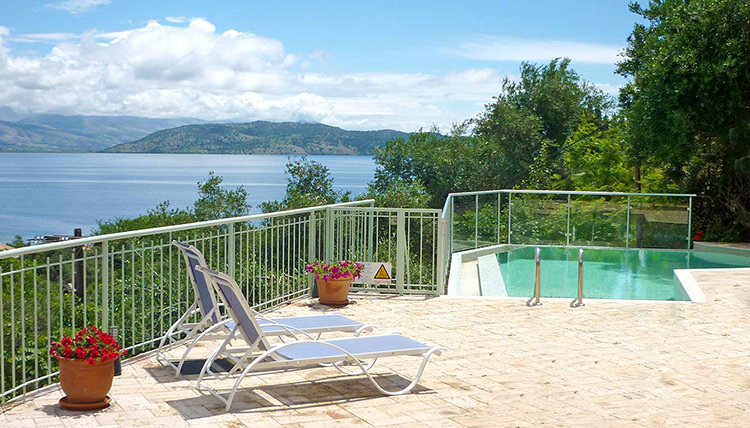 This property is located at just a 3 minutes walk from the beautiful bay of Agni on the N.E. 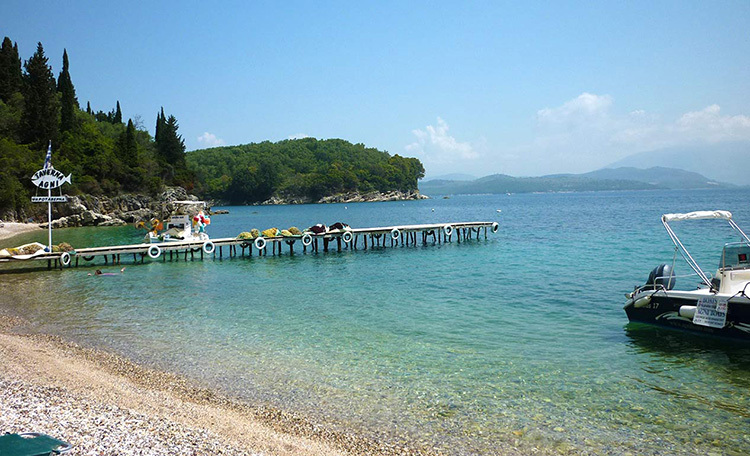 Coast of Corfu with crystal clear water and pebbled beach. 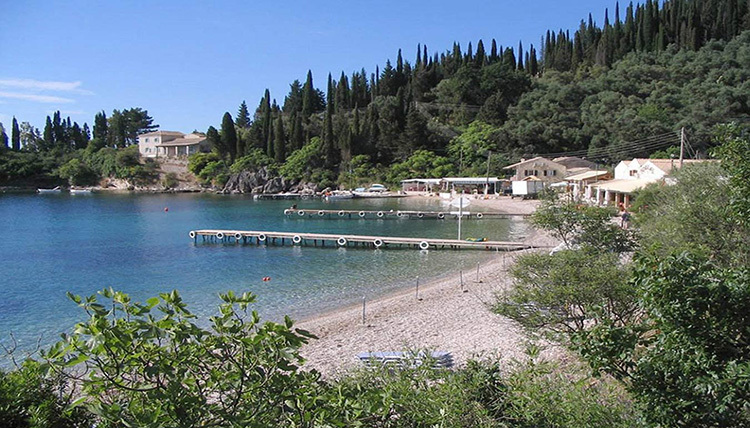 Here yachts and sailing boats throw their anchor in the afternoons as it happens to be a perfect place to go for a swim, for scuba diving or to enjoy a nice meal in one of the fish restaurants. 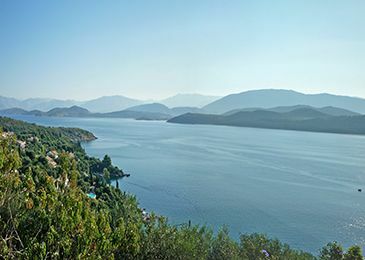 Several nice locations in the nearest region of Agni are Nisaki, Kerasia, Agios Stefanos and Kassiopi and 20 klms from Corfu Town. 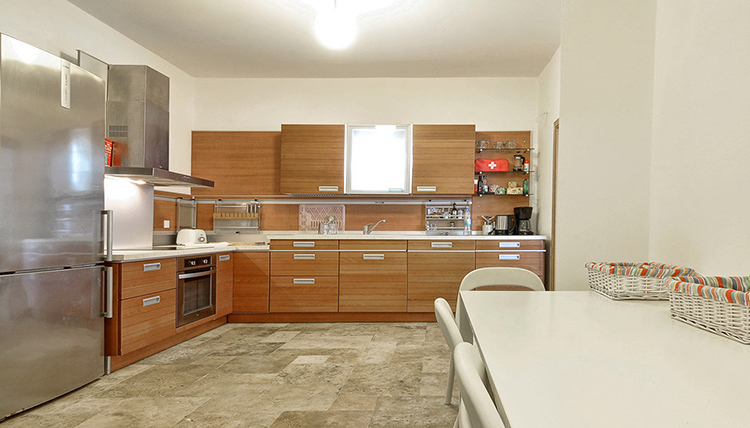 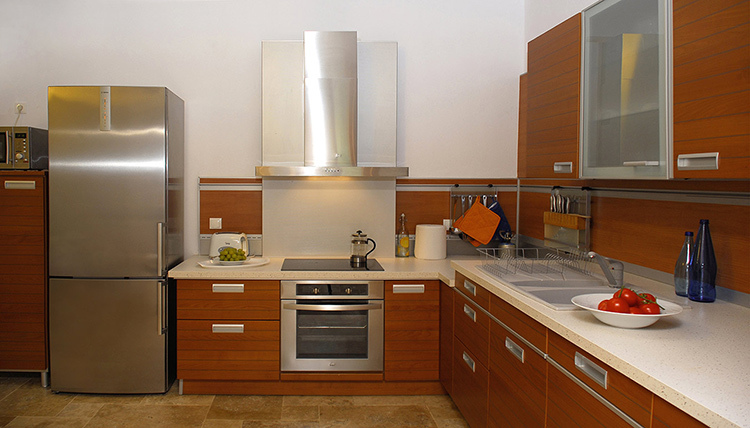 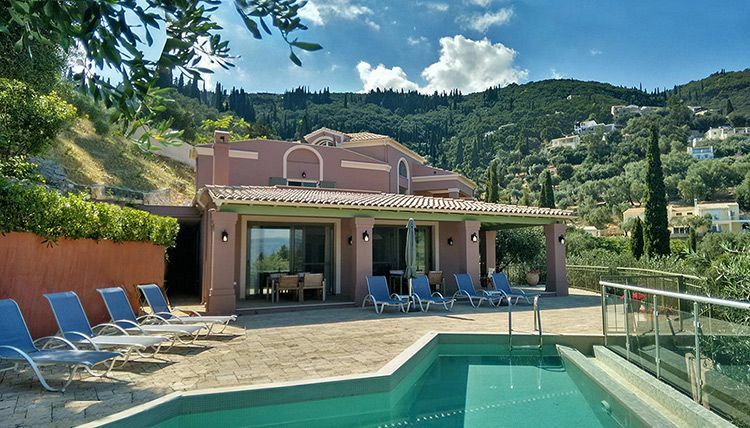 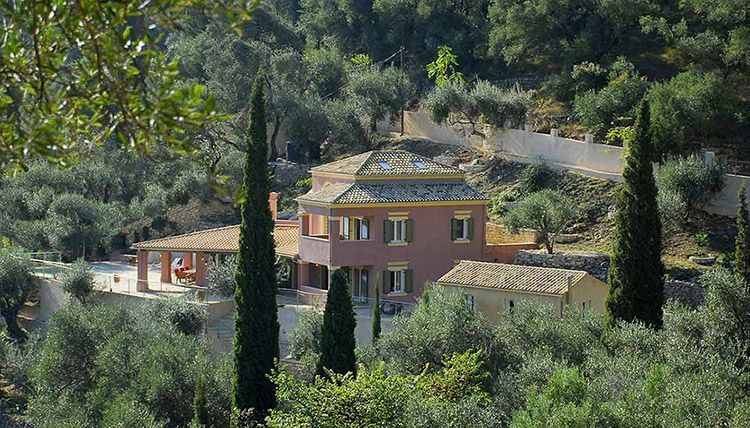 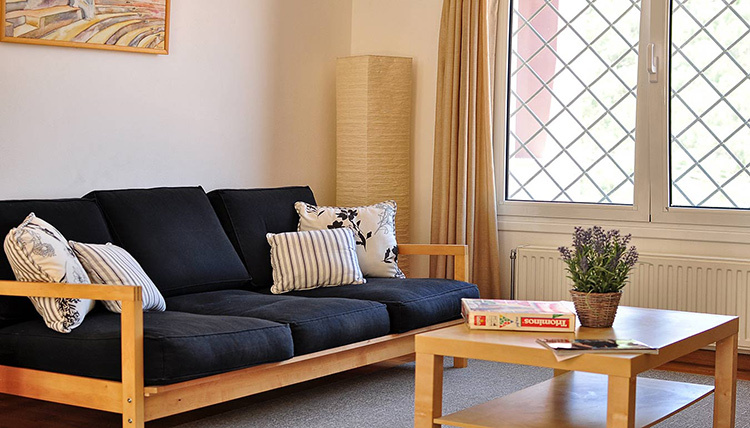 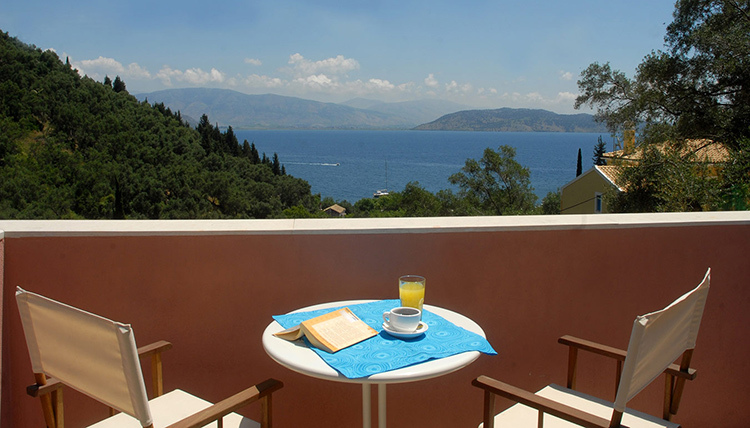 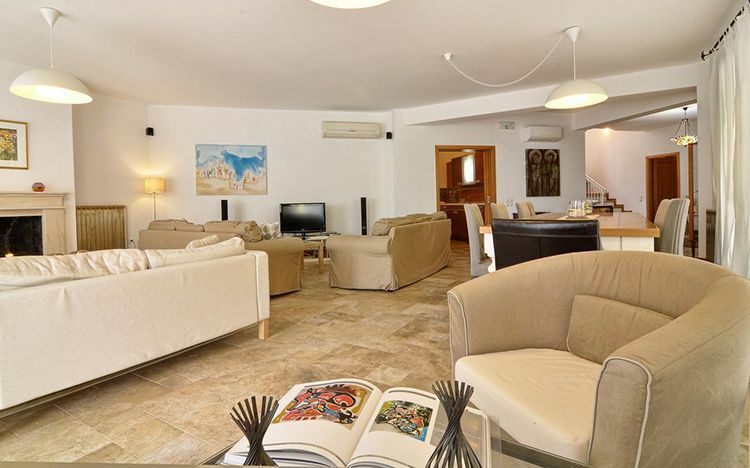 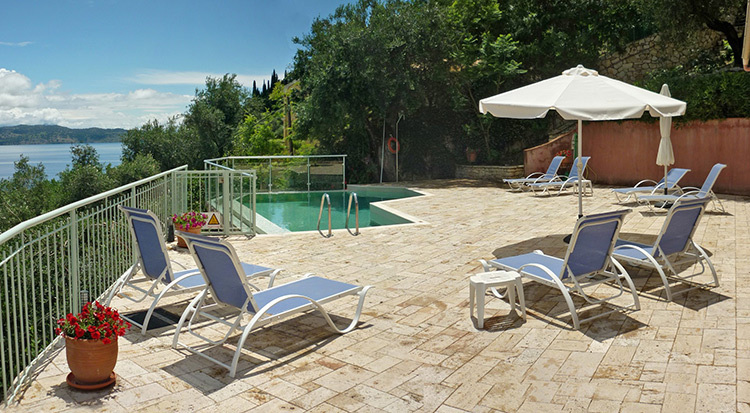 Villa Amalthea is a four bedroom villa (all en-suite) with a garage and swimming pool. 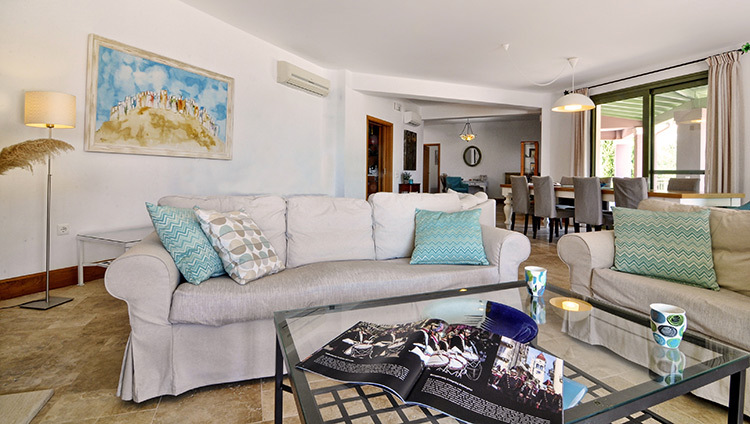 Aims at design stage were to give occupants feelings of privacy and openness, to offer four independent bedrooms, each one enjoying sea view, to place horizon pool so as to enjoy the views to the sea and the sun all day long. 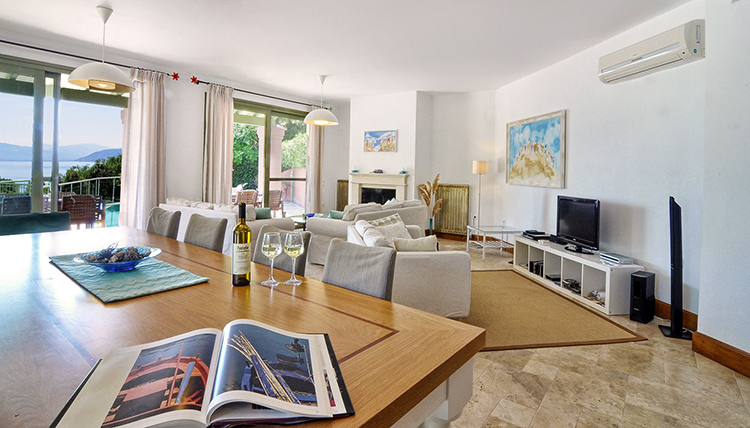 The villa comprises on the ground floor a spacious living facing the sea with a veranda leading to the pool area, a fitted kitchen, guest toilet and a double-bed bedroom with en-suit bathroom. 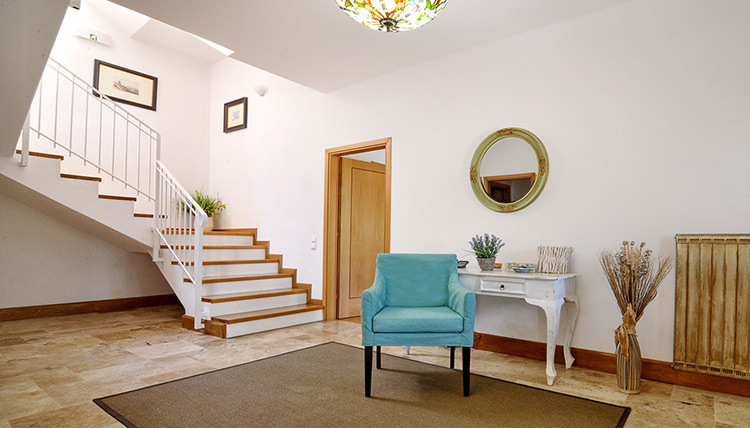 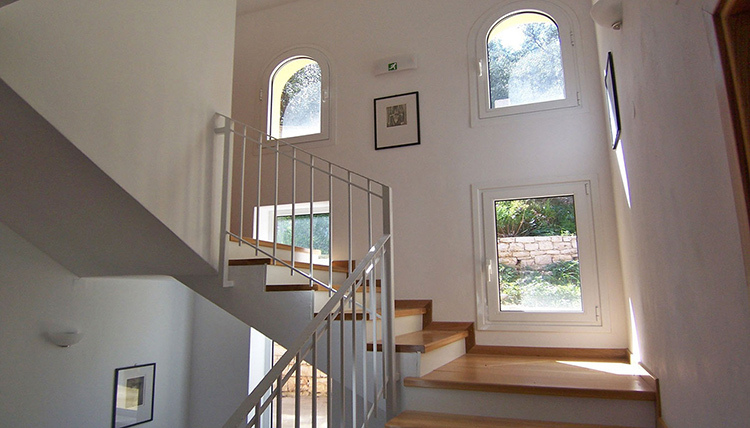 The first floor comprises 2 bedrooms en-suited, a study and a sun patio. 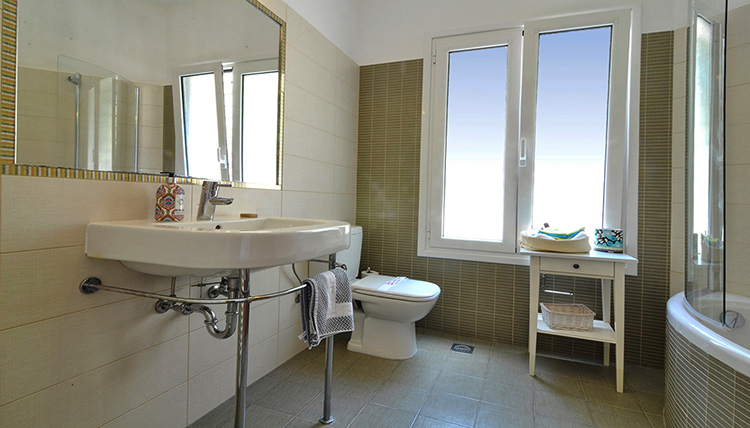 The second floor has one bedroom with en-suited bathroom and a sun patio. 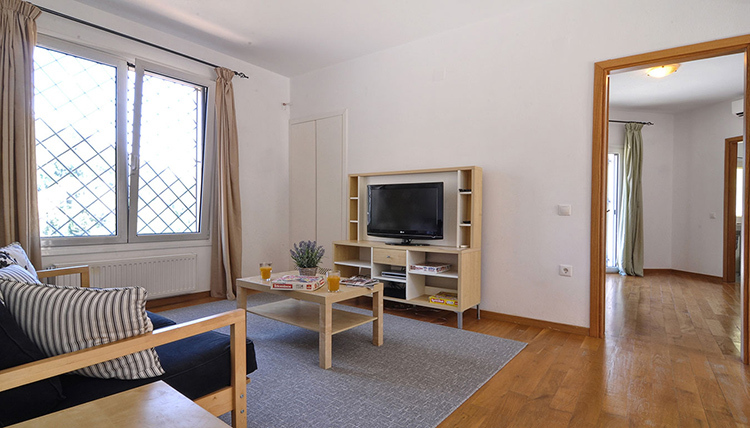 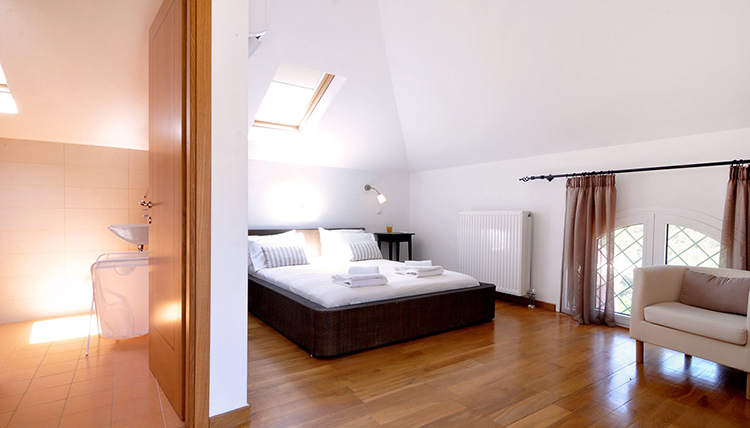 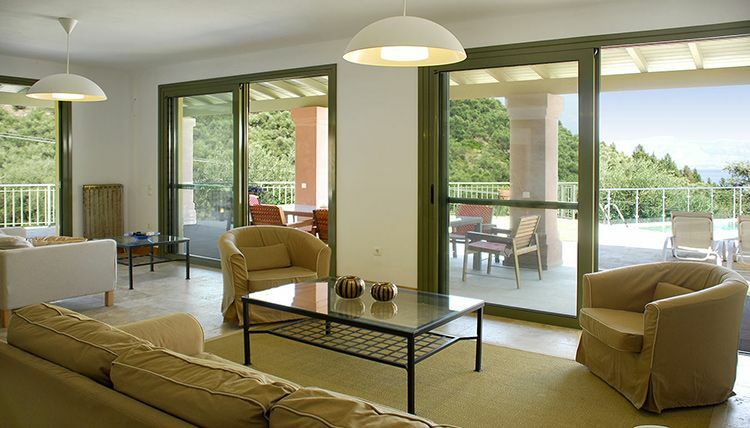 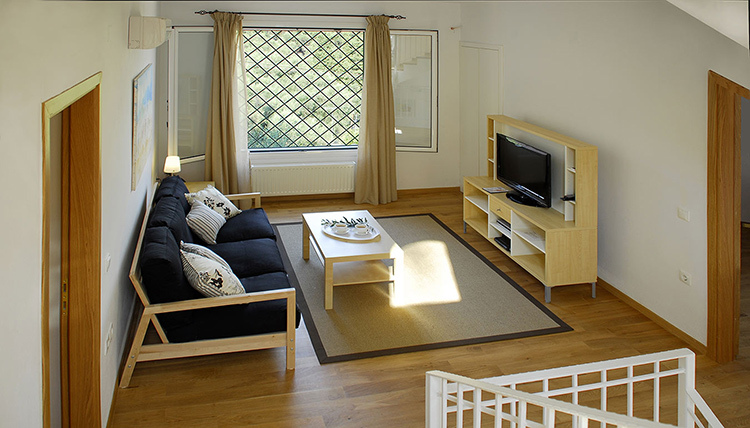 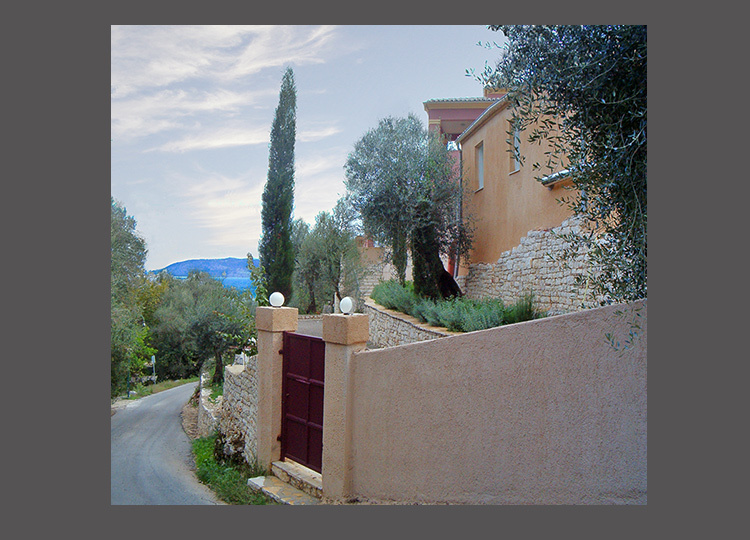 Further the villa has central heating, air conditioning, double glazing and high quality insulation. 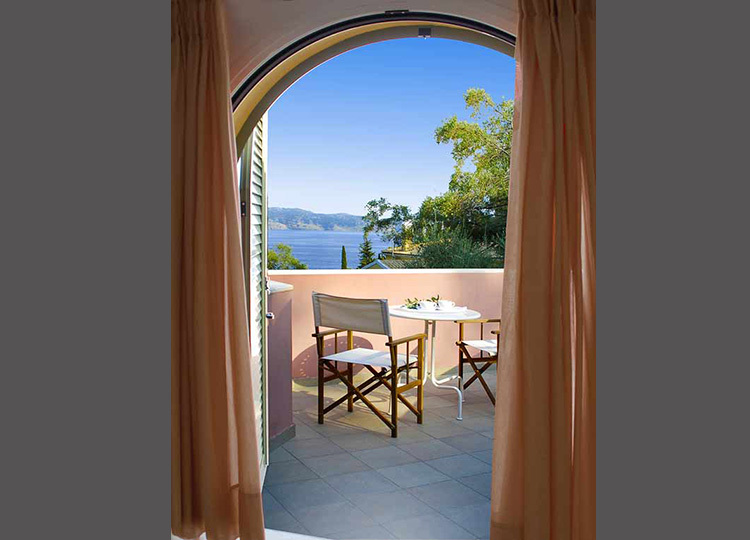 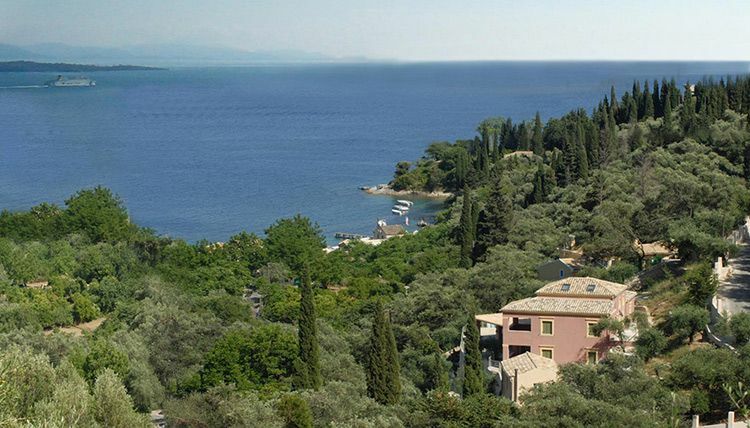 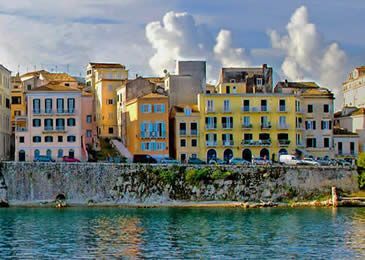 CORFU TOWN: 30 km, BEACH: 300 mtrs, PORT: 30 km, AIRPORT: 30 minutes drive.